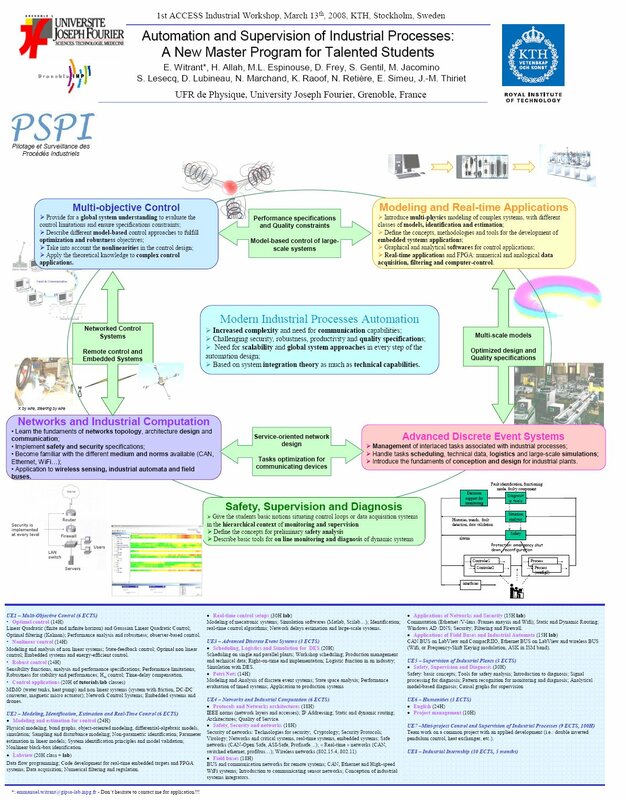 Industrial Processes Automation (IPA, former PSPI) aims at the industrial world, with a focus on team working and communication, technological innovation and the adaptability to new environments. Control and Systems Theories (CST, former Auto), oriented towards research with the development of analytical skills and independent working capabilities. 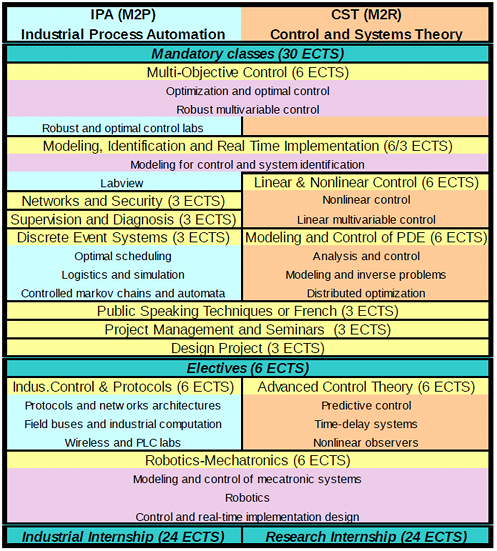 The distinction between these two specialties is expressed by automation-oriented classes (networks, real-time implementation...), a higher proportion of labs and team projects in IPA, while more advanced courses in system theory and personal projects are proposed in CST. January to June: project and 5 months of industrial or research internship.